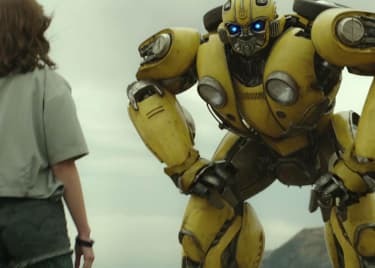 When it opens on December 21, BUMBLEBEE will reveal the history of one of the most popular Autobots. The film is essentially a prequel to the entire Transformers franchise. It’s just on a more intimate scale than Michael Bay’s all-action spectacles. That said, BUMBLEBEE isn’t really expected to rewrite the canon at all. Instead, it will carefully work around the established history of our favorite Robots In Disguise. 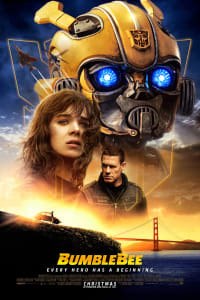 Tickets are on sale now for BUMBLEBEE. To rev up for the new movie, let’s take a look at the Transformers timeline to date. According to TRANSFORMERS: AGE OF EXTINCTION, 65 million years ago a race of bio-mechanical beings known as the Creators seeded the universe with a living metal, Transformium. The Creators harvested the metal and used the mysterious but massively powerful AllSpark to create the planet Cybertron, inhabited by Transformers. Over time, the Transformers aligned into two tribes, Autobots and Decepticons. The Decepticons dedicated themselves to conquest, and initiated a civil war on Cybertron. The war raged for millennia, with Optimus Prime and Megatron gradually becoming leaders of the two warring factions. To keep the AllSpark out of Megatron’s hands, Optimus Prime launched it into the depths of space. Megatron pursued it. After “countless solar spans” of searching, he discovered the energy signature of the AllSpark on Earth. Fortunately for the universe, Megatron’s navigation systems malfunctioned while entering Earth’s atmosphere. He crashed in the Arctic, where he was frozen solid in the Arctic ice, trapped in stasis. The Transformers have always been drawn to Earth. The situation got worse in the nineteenth century, when Captain Archibald Witwicky discovered Megatron’s body. In 1913, the U.S. discovered the AllSpark, and the government established a covert group called Sector Seven. Their mandate was to keep the Transformers secret from the public, while carefully investigating the potential of this alien technology. In the 1930s, President Hoover built the Hoover Dam around the AllSpark, to facilitate experimentation and secrecy. Bumblebee is no stranger to Earth. He and Hot Rod made their way to our planet in the 1940s. Bumblebee learned of the ties between the AllSpark and the Witwicky family line but didn’t find the object itself. The two got caught up in World War II, with the Autobots working with the Allies against the Nazis. TRANSFORMERS: THE LAST KNIGHT even included a stunning flashback sequence in which Bumblebee and Hot Rod launched an attack on Nazi Germany. After the war, the Autobots went their separate ways. Hot Rod chose to stay on Earth, while Bumblebee continued his search for the AllSpark, initially heading back to space. Since he’s clearly back on Earth in the new film, it seems safe to assume he returned looking for the AllSpark once again, with Decepticons hot on his tail. If the Decepticons see even a hint that Earth’s technology is derived from Megatron, then the entire planet will be in terrible danger. 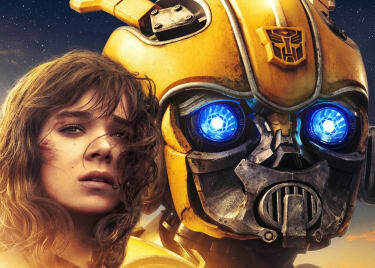 Get tickets now for BUMBLEBEE, opening on December 21!